During his first State of the State address Tuesday, California Gov. Gavin Newsom revealed plans to dramatically scale back plans for a high-speed rail project, putting into doubt the train’s eventual arrival in LA. “Right now there simply isn’t a path to get from Sacramento to San Diego—let alone from San Francisco to LA,” Newsom said Tuesday. The governor argued that delays and cost increases made it necessary to reduce the project’s scale, at least temporarily. 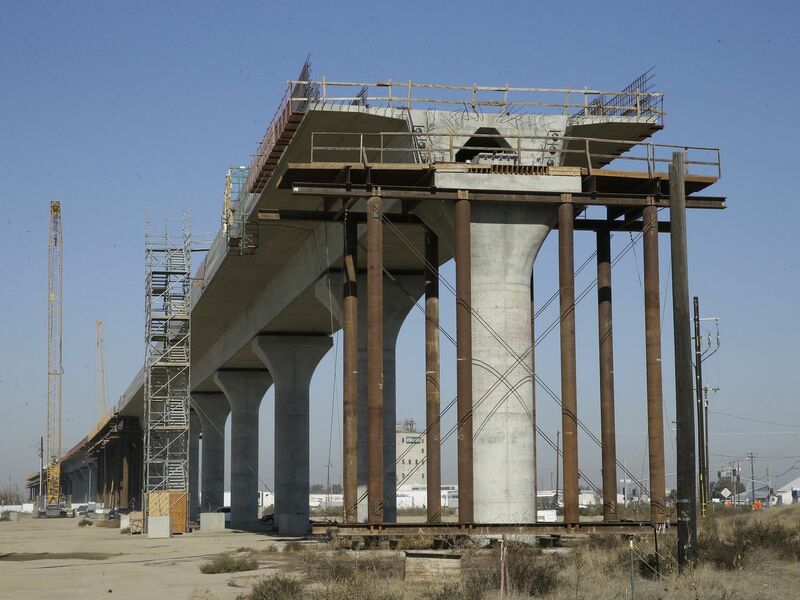 In the works for more than a decade, the project was billed to California voters in 2008 as a rail line allowing riders to travel between Los Angeles and San Francisco in under three hours. Now, under Newsom’s revised vision for the project, passengers may only be able to ride between Bakersfield and Merced. “I know some critics are going to say that’s a train to nowhere, but I think that’s wrong and I think that’s offensive,” Newsom said Tuesday. He argued that a rail line through California’s Central Valley could cut down on the region’s notorious air pollution and give new options to commuters living in cities along the rail route. “Merced, Fresno, Bakersfield, and communities in between are more dynamic than people realize,” Newsom maintained. In 2008, when voters approved a bond measure funding the project, officials estimated it would cost $40 billion. But cost estimates have risen dramatically since then, and a business plan released last year indicated that connecting San Francisco to Anaheim would cost more than $77 billion. The Southern California phase of the project alone was expected to cost up to $28.65 billion. Newsom stopped short of ruling out the possibility that the rail line would eventually reach San Francisco and Los Angeles. He said that environmental review of the project would continue and that state officials would keep seeking federal dollars to fund more of the rail line in the future. Correction: A previous version of this story incorrectly stated that the project’s initial cost estimate was $40 million. That should have read $40 billion.